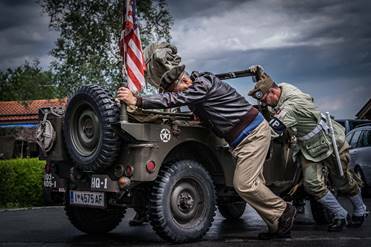 Ceepee announced this year’s Lake Tegern Willys event. This is one I hope to get to some day. “die Planungen sind abgeschlossen. Der nächste Willys-am-Tegernsee wird vom 12. bis 14. Juli stattfinden. Beginning on Friday afternoon we’ll have the oppurtunity for jeep talk either on arrival or at the dinner right on the banks of the lake. For those, who want we’ll have another small tour on Sunday morning before we’ll have a Bavarian Brotzeit. Wie bisher auch Willys MB, Ford GPW und Hotchkiss M201 only! Das sieht aber geil aus.